Would be a great treat to give out at day camps (no “BIG 8” allergens) or at home for the kids! 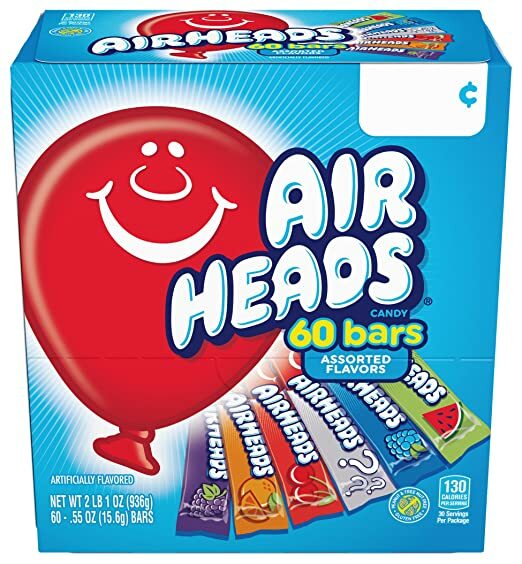 Amazon is offering AirHeads Bars, Chewy Fruit Candy, Variety Pack, Non Melting, 60 Count for as low as $5.94 with FREE shipping when you choose Subscribe & Save and have 5 active monthly subscriptions! OU Kosher, BEST PRICE!